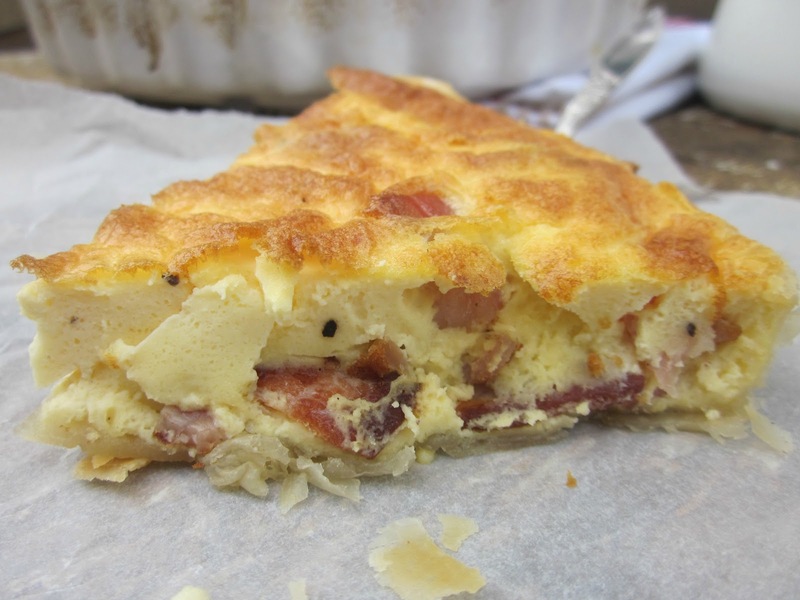 When I googled Recipe for quick Quiche Lorraine without cream, a few recipes came up claiming to be just that, but surprisingly, when I clicked in they all had cream. Well I haven't lost this weight to put it all back on again, so the only solution was to make a one up. 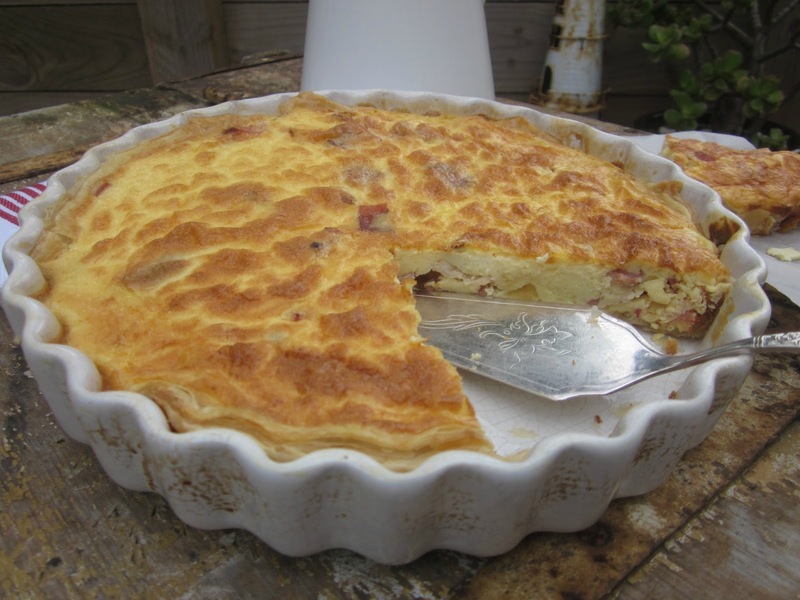 Now this classic French recipe has many variations, but the original consists of only 4 ingredients, pastry, cream, eggs and bacon so it's very quick and easy. The non traditional amongst us may put in cheese and onions. Mais non sacre bleu!!!!! My extensive research suggests that would not be a true indication of one of the most famous regional French dishes. So remember......no cream if you want to eat this kind of food and feel good about it. Instead I used low fat creme cheese, which worked a treat. Actually it was called 'light' cream cheese. So still a bit more fat than I would like, but better than the alternative. Spray a 23cm / 9 inch pie dish with cooking oil. 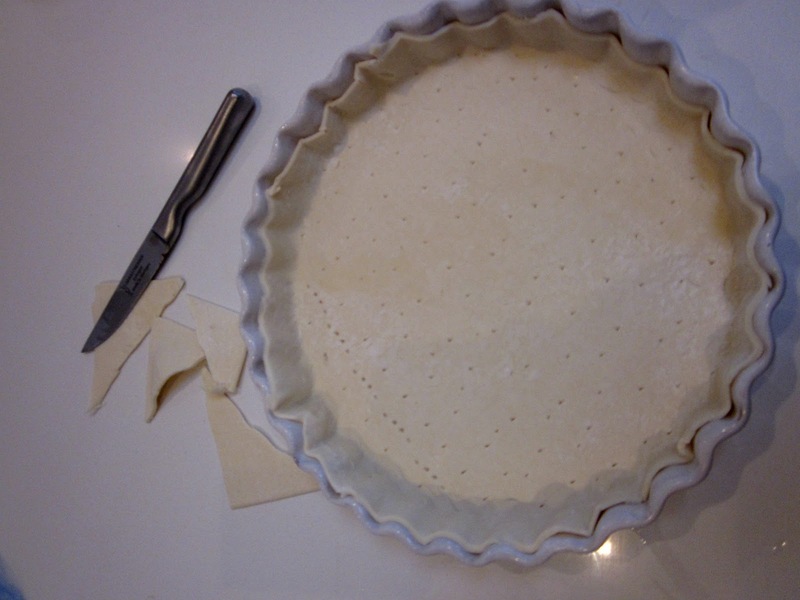 Line it with thawed pastry and trim. Spike the pastry all over with a knife. Brush pastry all over with egg whites. Meanwhile whisk eggs in a bowl until light and fluffy. Beat in cream cheese. Pour egg mixture over the bacon. Bake in the oven for 40 minutes until golden brown. Can be served hot or cold with a green salad. Serves 3-4 for a light meal. Then dig in!!!!! I have made the quiche twice this week. Once for an easy Sunday night dinner and today for a girls lunch. And yes, I am crazy doing a ladies lunch in the school holidays.....I know that now!!!! No not really, in fact I'm doing it all again tomorrow for another girlfriend and her boys. Both the pie dish and the enamel jug are brought to you via the Scouts' garage sale.....a post in itself, if I can get it together for next week. Lets just say I do believe dealers should be banned form those types of events. Sometimes they can be very nasty people. Think walking over the top of kids and making them cry and throwing pieces around and breaking them, because apparently if they don't want to buy them to re sell then, why would anyone else want them either. Human nature never ceases to disappoint at times!!!!! But we have our happy faces on again. Have a great weekend sweet people and happy cooking. Oh and if you decided to go French for Bastille Day this weekend, or perhaps in honour of the Tour de France. 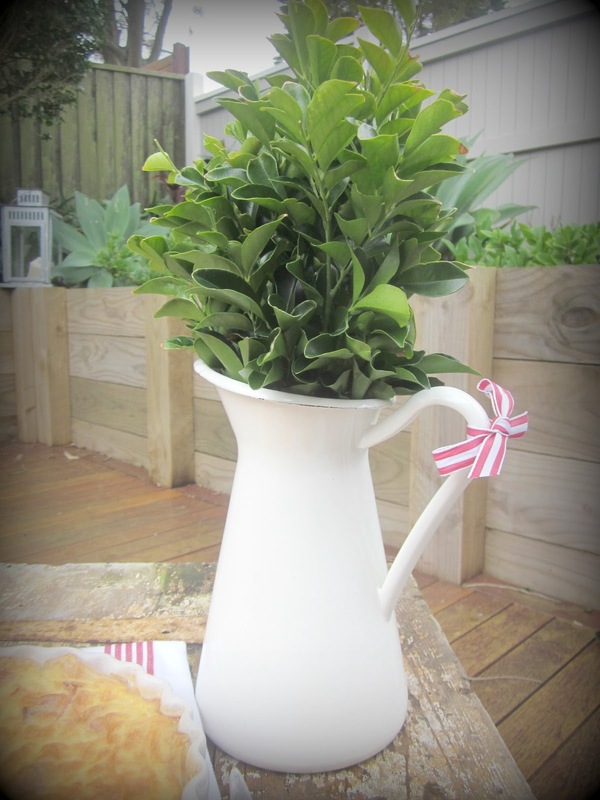 Go Cadel....... Have a go at these easy French crepes here. as well. I've had fantastic feed back on them. For my other dinner weeknight wonders go here. You make things look so easy and delicious. This happens to me. I google 'dairy-free' recipes only to find that the recipe has milk or cream in it!!! Couldn't go past this post without stopping to say how beautiful the first photo is... it's a seriously top notch food shot! 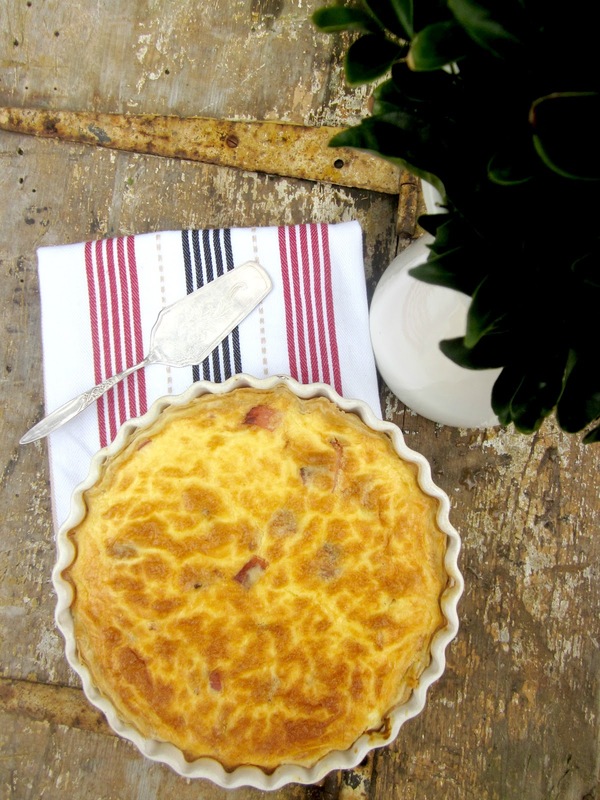 Love the quiche recipe... suspect I would love the crepes even more! It's a pleasure to return to your blog! 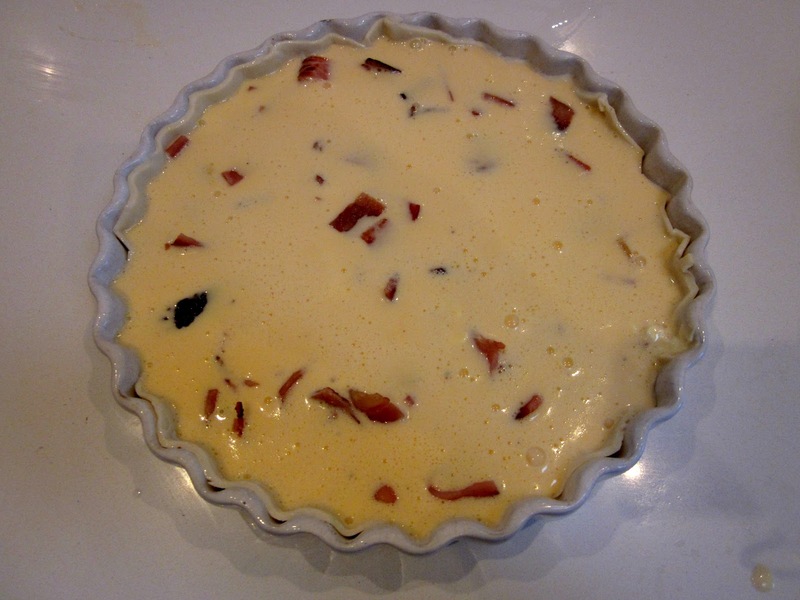 I hadn't thought to make a quiche in a regular pie dish - I was looking for a quiche dish with the removable bottom with no success, so I gave up on the idea of making a quiche. I guess I will have to re-think it, and try your recipe! Quiche & Crepes, two of my faves! 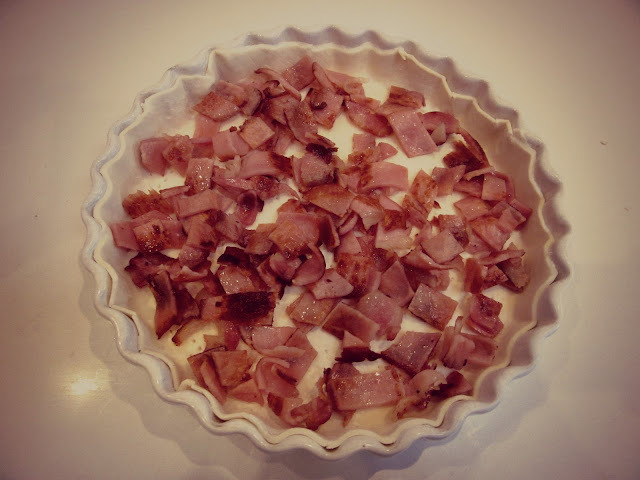 Your quiche looks just great. YUM! I have puff pastry in the freezer but no bacon. Will add it to the list and make this one during the week. V.
Great. Let me know how it goes.